Riding the subway in China can be stressful as a mug. 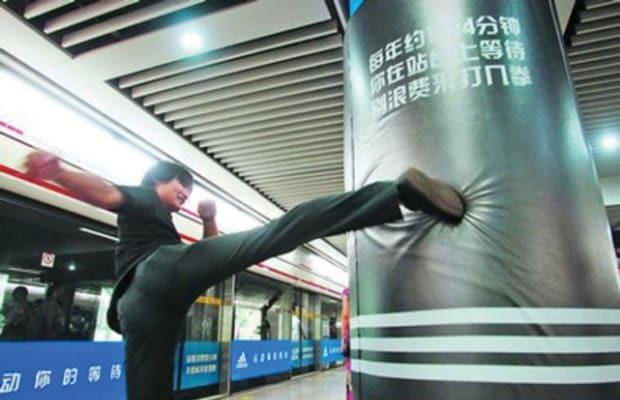 That&apos;s why Adidas installed punching bags in a few Shanghai subway stations. They&apos;re all part of Adidas new ad campaign which boasts the title of "The first advertisement in history you can kick, punch, and trample at will." If you&apos;ve never experienced a Chinese subway, you might not understand the magnitude of this. But it&apos;s awesome.